A groundbreaking R&D collaboration driving product, technology and process innovation in gaming. InGAME establishes a creative research and development centre around the experience and expertise held in the Dundee Games Cluster. 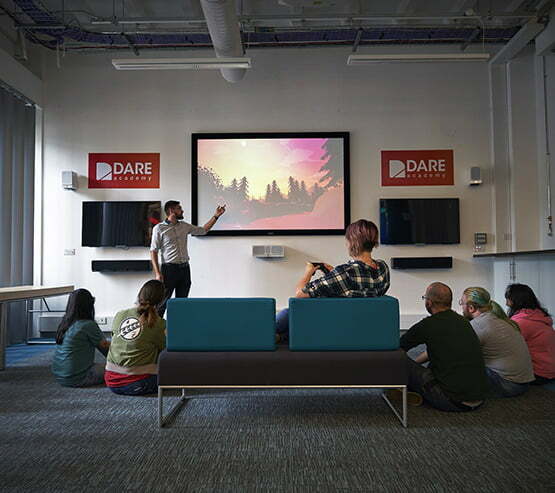 Its mission is to drive products, service and experience innovation across the Dundee games sector and act as model for UK-wide games sector innovation. InGAME is led by Abertay University, in partnership with the University of Dundee and the University of St Andrews, in collaboration with local and international industry stakeholders. 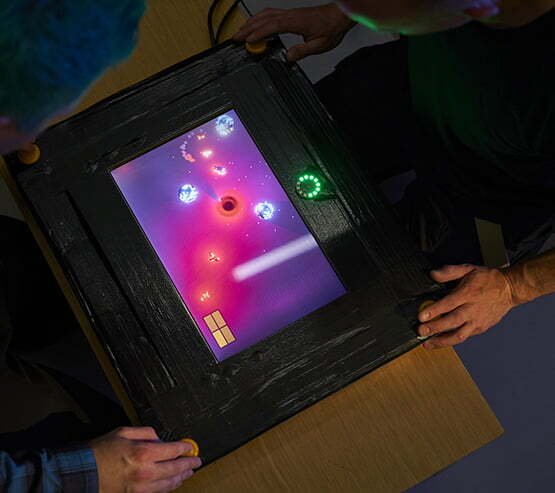 The primary aim of the project is increase the value and scale of the Dundee videogames cluster through creative experimentation, exploiting innovation and sector intensification. InGAME is part of the Creative Industries Cluster Programme, funded by the Arts & Humanities Research Council and part of the Industrial Strategy. The InGAME R&D Centre, located in the Vision building at the centre of Dundee’s games industry, forms the heart of the project. The centre will open in spring 2019. If you want to be express your interest in any of the above opportunities or to keep up to date on the latest news from InGAME, please complete our enquiry form. InGAME is led by Abertay University, in partnership with the University of Dundee and the University of St Andrews, in collaboration with local and international industry stakeholders. How will InGAME deliver on its purpose? Creative experimentation. InGAME will create mixed teams from enterprises and the universities to develop prototypes and proof of concepts utilising new and emerging game technologies. The teams will explore new audiences and interdisciplinary working relationships as well as creating new content and models for gaming. Exploiting innovation. InGAME will identify and exploit technical and process innovations that have potential value as a standalone product/service in their own right, via cross sector engagement, and develop solutions to enhance opportunities for incremental innovation to be used to drive disruptive innovation. Sector intensification. SMEs in the sector need organisational development support that allows for cooperative engagement to provide scale while firms retain independence and innovative, outward-looking potential. InGAME will establish new modes of collaboration, facilitate diversity, improve access to high cost development services and develop tools and processes that locate commercial viability at the heat of game design and development. How can I access InGAME funding and facilities? 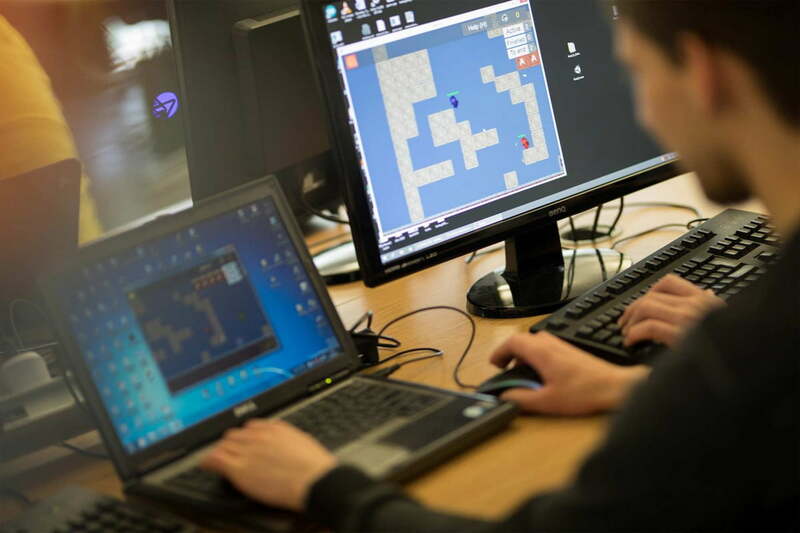 The InGAME R&D Voucher Scheme will allow organisations and professionals engaged in game development, or with game developers, to access InGAME’s facilities, resources and expertise. The purpose of the InGAME R&D Voucher Scheme is to establish new modes of industry-academia collaboration and support applicants in the rapid prototyping of innovative new gaming products, services, experiences, processes, audiences and markets. Any micro enterprise, SME and third sector organisations can apply to the voucher scheme, providing their main company operations are in the UK and that the application proposes an R&D partnership with InGAME related to games and media enterprise. The voucher scheme will launch in summer 2019 and full details on the application process will be published in due course. Who are the InGAME team? Sean Taylor, Project Director, is an award-winning project director with 20 years of experience in the design and development of digital interactive entertainment products and services. He is best known for his work at DMA Design on the original Grand Theft Auto and, during his role of Executive Producer at Denki, the BAFTA-winning casual game, Quarrel. Sean is supported by eight dedicated R&D Fellows, each with their own specialism ranging from data driven design, technology exploitation and sustainable creative business strategy. We are grateful for the support of the University of Abertay, University of Dundee and University of St Andrews and Industry partners who will be providing access to expertise, resources and services to meet our mission. If you want to be express your interest in any of the above opportunities or to keep up to date on the latest news from InGAME, please complete our enquiry form. What is the Creative Industries Clusters Programme? information on the programme please visit creativeindustriesclusters.com/. Any micro enterprise, SME and third sector organisations can apply to the voucher scheme, providing their main company operations are in the UK, and that the application proposes an R&D partnership that meets with the overall objectives of InGAME. The voucher scheme will launch in summer 2019 and full details on the application process will be published in due course. InGAME will be hosting events that bring a range of world class speakers to Dundee to explore solutions to the industry’s most challenging problems. 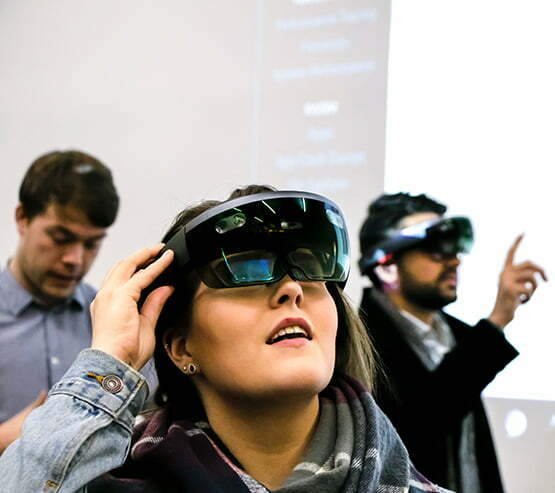 Organisations will be given access to emerging technologies with aim of de-risking the assessment and rapid prototyping of innovative products, services and experiences for the Dundee games cluster. Responsive training programmes that combine established business development practices and practitioner training delivered by platform, technology and local industry partners. If you’d like to get in touch regarding opportunities or for further InGAME information, please use the enquiry form below and we’ll respond as soon as possible. © 2019 InGAME. 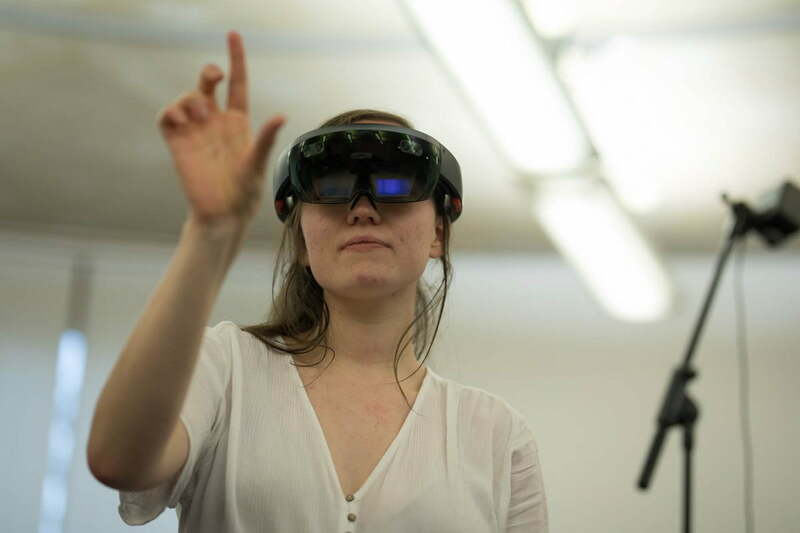 The InGAME Creative R&D Partnership is part of the Creative Industries Cluster Programme, funded by the Arts & Humanities Research Council and part of the Industrial Strategy.